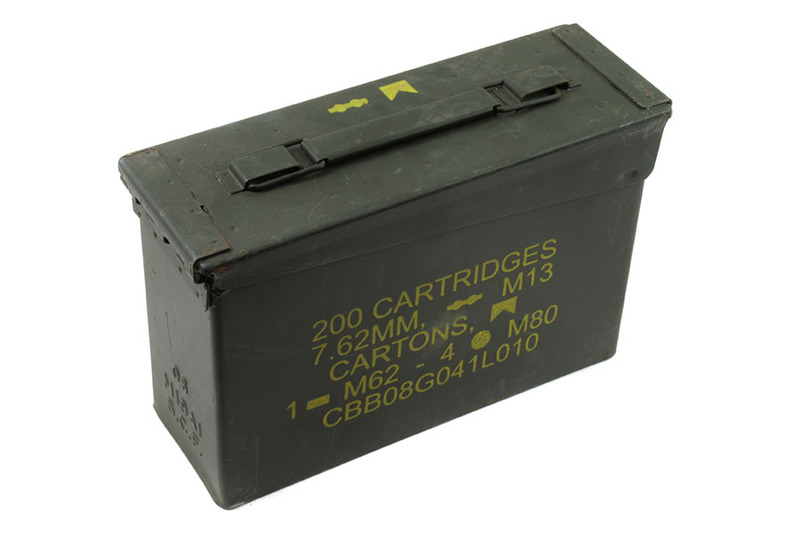 Ammo Can, 30cal, USGI, Steel, Used. Military surplus steel 30cal size ammo cans. These are nice clean cans but are used and will show some wear and fading paint. The color of the can is usually green but sometimes white or orange or a mix. They are solid and close well. Load data and marks on outsides will vary from can to can and from picture. Decent can, but not crazy about the spray paint and writing all over the boxes. They work, just need to be repainted to make the make sense for me. Couple were bent but good for the price.